Hot lights stay “on” while you’re shooting, so you can see the exact effect you’re going to get when you take your photo. They require a more hands-on approach than other forms of lighting, but can result in a more consistent shoot. 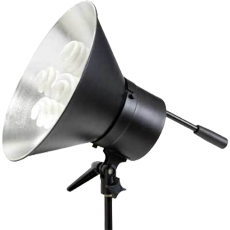 Contact us to reserve hot lighting equipment today! 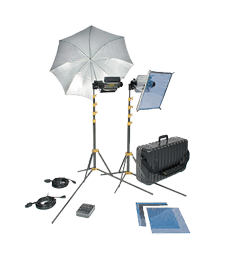 Tota-Light Kit with two heads, stands and case With two Tota-lights in the kit and all the mounting equipment you'll need, this is a perfect setup for photographic copy work and fast headshoots with a few subjects. 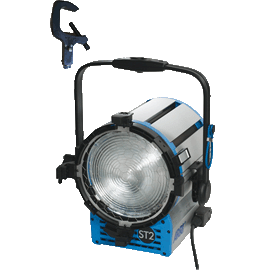 Arri Tungsten Lights Our selection of Arri-brand tungsten lights ensures you get the exact power you need for any shoot. Compact, rugged & versatile, the broad throw Tota-light is a Lowel time honored favorite. 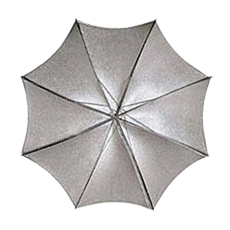 It can be used with its umbrella or gel-frame & diffusion as a soft key, fill, or backlight. 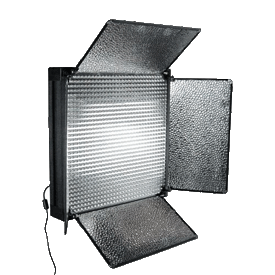 This 27" reflector Fits directly on the Tota and Omni accessory bracket to convert them to soft shadow sources. 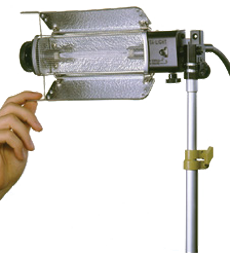 Two Light (4 Tube) Kit with Stands Fluorescent lights create an even, soft light that's perfect for portrait work and product shots. Capture all of the detail of your subject. 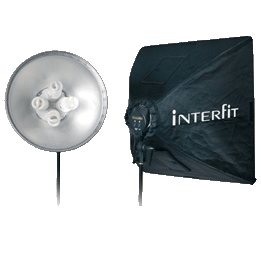 Super Cool-Lite 2 Softbox Kit The Super Cool-Lite line of lights gives you continuous, cool light in a compact kit while only using 1/4th the amount of energy of tungsten lights. Using fluorescent lamps, Cool-Lites produce 5200°k daylight color while remaining cool for your subjects. Mosaic Bi-Colour LED Panel This high-powered, modular, LED light bank with 576 super-bright power LEDs provides from 2400 to 5200 Lux of high-quality blend-able light, easily adjusted from 2800K to 5600K at the touch of a button - perfect for both studio and location video lighting or photography. 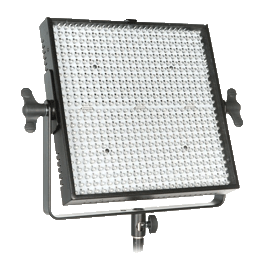 LED 1000 Color With a color temperature range that goes from from 3200K to 6000K, this versatile LED video light offers the exacting control modern photographers need.